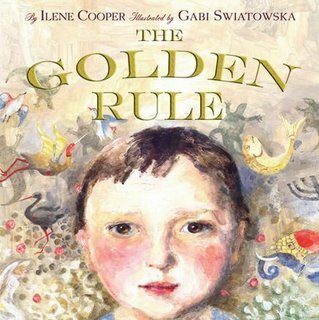 No, the Golden Rule existed long before Christianity or Islam. In fact, no one is quite sure when the idea was first written, much less conceived — it's that old. All we know is that the general idea is as ubiquitous as it is beautiful — having existed in virtually every culture on Earth for thousands of years. Then there's the Jewish Torah, written in 1280 BCE: "Take heed to thyself, my child, in all they works, and be discreet in all thy behavior; and what thou thyself hatest, do to no man." Undated is this charming African Bush proverb: "If your neighbor's jackal escapes into your garden, you should return the animal to its owner; that is how you would want your neighbor to treat you." This sort of hilarious version is a Nigerian Yoruba proverb: "One going to take a pointed stick to pinch a baby bird should first try it on himself to feel how it hurts." And a Sioux prayer puts it this way: "Great spirit, grant that I may not criticize my neighbor until I have walked a mile in his moccasins." Among the oldest known references appears in the story of The Eloquent Peasant, an ancient Egyptian story that dates back to The Middle Kingdom: 2040–1650 BCE (! ): "Now this is the command: Do to the doer to cause that he do thus to you." The Golden Rule (so named sometime in the 17th Century, by the way) is arguably the greatest wisdom human beings have ever offered the world. It's universally known, pondered and accepted. And it's a hallmark of virtually every major religion, philosophy and ethical perspective. So... why don't we follow it? "We have committed the golden rule to memory, let us now commit it to life." — Edwin Markham, 1852-1940.